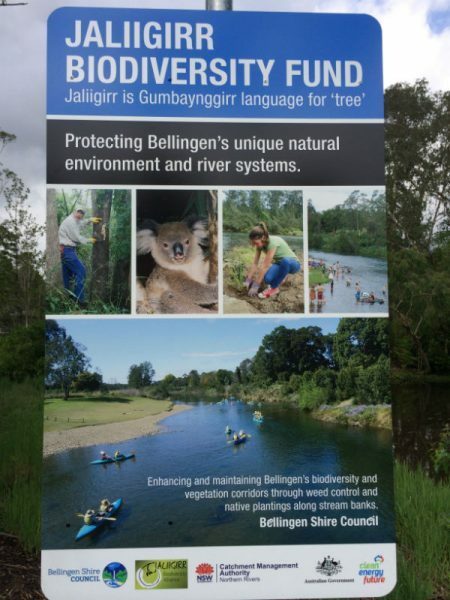 Key Partners: National Parks and Wildlife Service, Bellingen Shire Council, Bellinger Landcare. 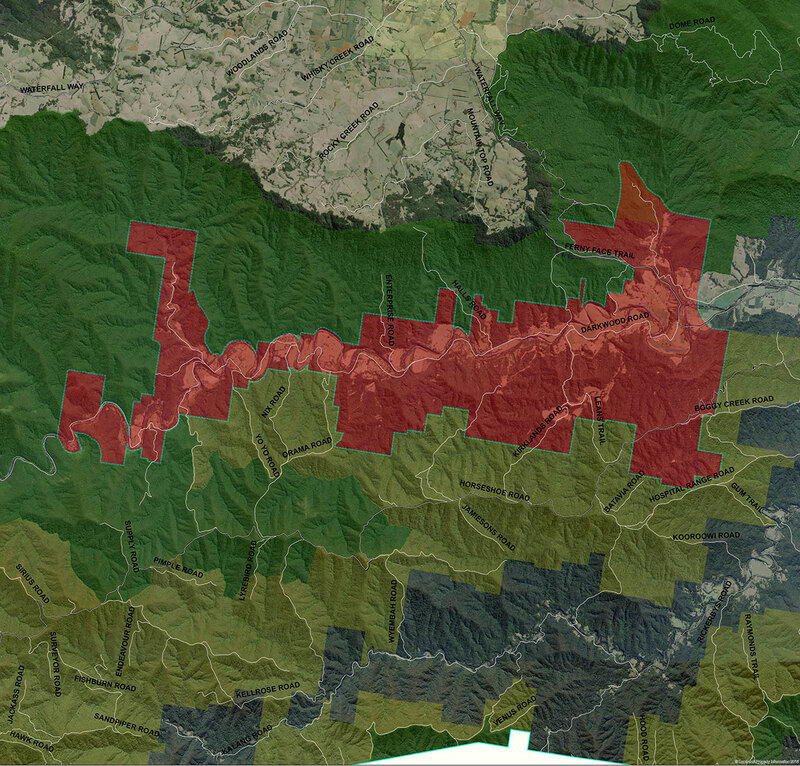 The Upper Bellinger connection encompasses the Bellinger river catchment from the Thora Bridge to Brinerville in the upper Bellinger catchment. Bordered to the north by New England National Park and the Bellinger River National Park, this connection provides linkages between these vast areas of National Park and the private property, State Forest and Baalijin Nature Reserve to the south. 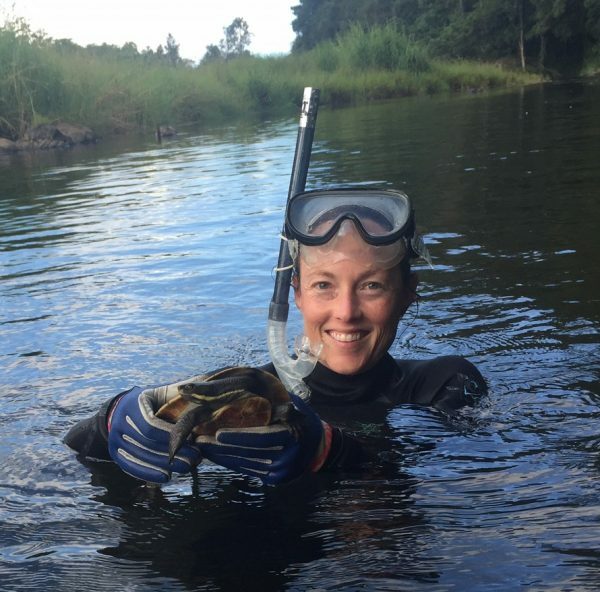 The intact forests of the Upper Bellinger protect important habitat for a number of threatened species, including the Spotted-tailed Quoll (Dasyurus maculatus) and the Bellinger River Snapping Turtle (Myuchelys georgesi). 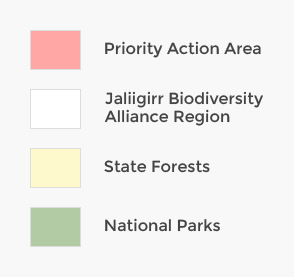 The Upper Bellinger connection is a priority investment area for both the Jaliigirr Landscape Connections in the Great Eastern Ranges project and the Jaliigirr Connecting Communities and Cultures through Corridors project.